DAM levels might be declining but fish numbers are on the rise after Storm King Dam's annual restocking. 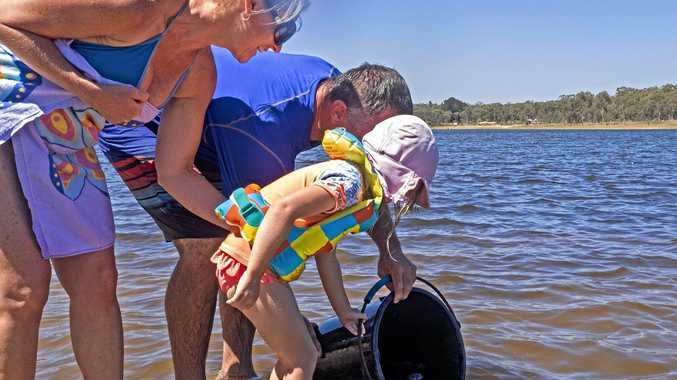 Stanthorpe Bluewater and Restocking Club waded out into the shallows on Sunday as they released nearly 11,000 yellowbelly fingerlings. "It was a nice turnout of members, plus we involved the general public,” the club's Ernie Jones said. Last year they beefed up cod numbers but stuck with just yellowbelly this time. "We put cod in last year in quite substantial numbers and had eased off on the yellowbelly,” Mr Jones said. The low levels of the dam didn't interfere with the volume of fish they released but it brought on other issues. "The dam is very low, of course,” Mr Jones said. Mr Jones said he'd like to see more support for Storm King from local anglers. "It's very important if local anglers are getting an inland fishing licence that they indicate they'd like to support Storm King,” he said. "But we were very happy with the turnout on Sunday and the support we get from Granite Belt Fish Hatchery,” he said. Anyone wanting to join the Stanthorpe Bluewater and Restocking Club is welcome. "We're short of numbers and would love some new people. 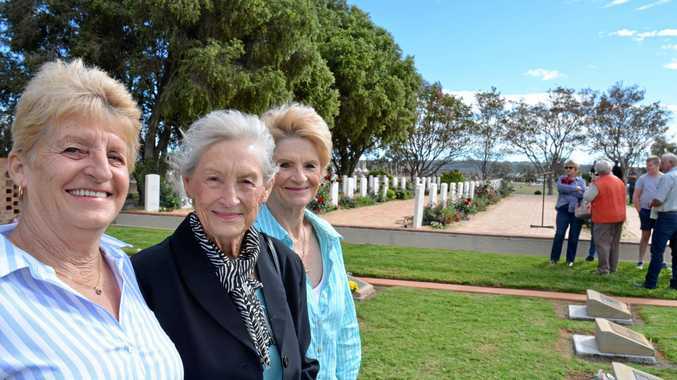 We meet the first Wednesday night of the month at RSL,” Mr Jones said.